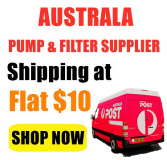 Welcome to Clicktobuy.com.au, we are one of pioneered online store for selling domestic, agricultural and industrial water pumps from the small ones to the bigger one across Australia. Established over 10 years with the motive of providing the best possible solution for your pumping needs, we have significantly grown over the years with huge base of satisfied customers across Australia. Being in the industry from many years, we have provided vast choices with flexibility that are not only tailored to your individual needs but are also most efficient & cost effective. Our online pump store features wide range of top quality water pumps right from submersible pumps to bore home pumps, from centrifugal pumps to water pump accessories, from aquarium pumps to water filters; all pumping equipments & solutions under one roof for diverse applications including both domestic & industrial. 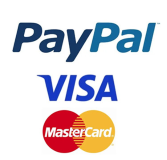 Clicktobuy.com.au is Australia's leading supplier of renowned water pump brands including Resun, Tsurumi, Jebao, Hailea & others. We make pumping affordable by offering highest level of satisfaction, quality, support & guidance, before, during & after sale. Our dedicated team continuously sources quality products from manufacturers directly. What makes us different from others is our passion of making customers happy & satisfied by testing each & every pump before selling it to client. Our entire pumps range comes with warranty with spare parts readily available. We are not limited to selling pumps but we provide repairing services also. Apart from huge variety of water pumps with repairing services. You are no more in the hassle to travel to your nearby pump stores as everything is approaching to your home now!